Textured paint or Crinkle paint as it is sometimes called, is making a real impact on the metal roofing industry. There are several reasons for this and we want to outline a few of them for you. Textured painted metal will not replace the smooth coated products that have been used for years, however is is a very good option to look at, and in many ways it is a better option. What is Textured Painted metal? Textured painted metal was actually discovered by accident in a lab several years ago. The lab technician added a special catalyst to the standard paint formula and discovered that as the paint dried, the additional catalyst caused the paint surface to texture / wrinkle. This technique was refined and tested in order to achieve the highest quality and performance. What are the improvements of Textured Paint? 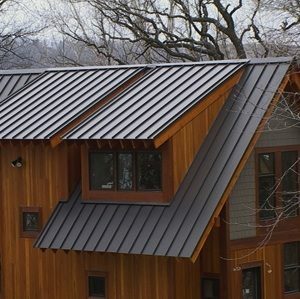 • Less Glare, The textured paint really minimizes the glare that a metal roof can inherently have. This lends to a overall better appearance. • Better scratch resistance, Because the surface of the metal textured, it will resist small scuffs and scratches. • Better traction, If you have ever needed to walk on a metal roof, you are aware that depending on the conditions, it can be difficult to maintain traction. The textured surface greatly improves that traction. This is a benefit for both the installers and the homeowners. • Hides under decking imperfections, Because of the reduced glare of the textured metal, any substrate imperfections will be less noticeable. 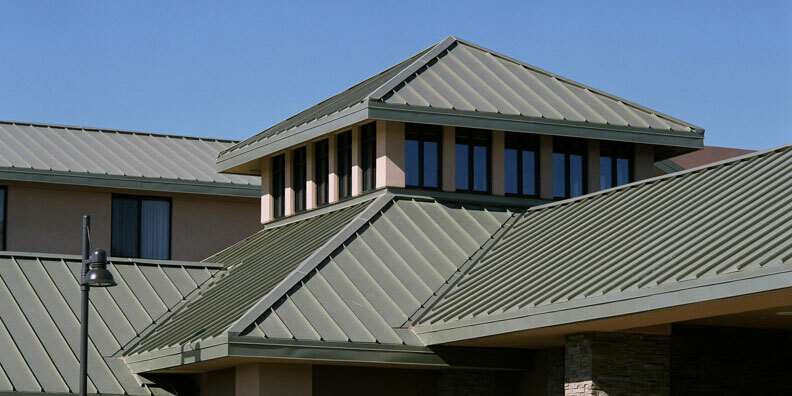 Textured Painted metal is a really good option for someone that wants the long life of a metal roof, but wants something that has a lower gloss. You can contact us if you are interested in more information, or would like to see a cost comparison for the textured paint in either the 29 Ga Ag Panel, or a 26 Ga standing seam. Our office number is 330-674-7051 we look forward to hearing from you.